One of the surprising discoveries in the book is the time it took for messages to get from Paris to Free French headquarters in Algiers. 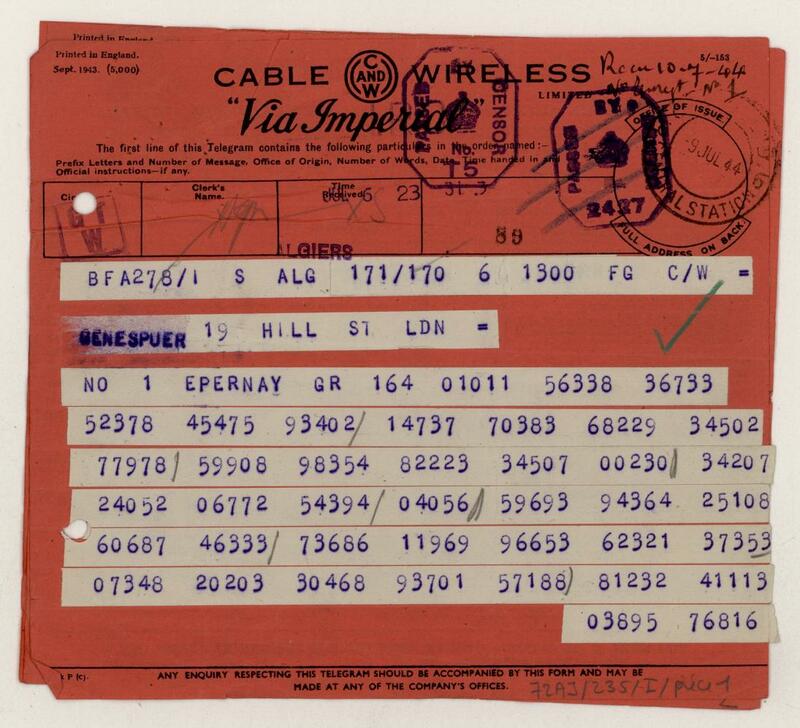 They were sent first to London, where they were apparently decoded at 19 Hill Street, the Free French intelligence HQ. They were then re-coded and sent to Algiers. The whole process could take up to two weeks, and for 10 days in mid-August, this complex web broke down, leaving Alexandre Parodi – de Gaulle’s right-hand man in Paris – without orders or advice. This entry was posted in Free French Communications by liberationofparis. Bookmark the permalink.